We parked in a public lot on the west side of town, climbing up a steep path to the east before descending an even steeper street down into the heart of the town. To the north of the parking lot off the path, the Chiesa della Madonna del Soccorso could be seen in the distance (below left). 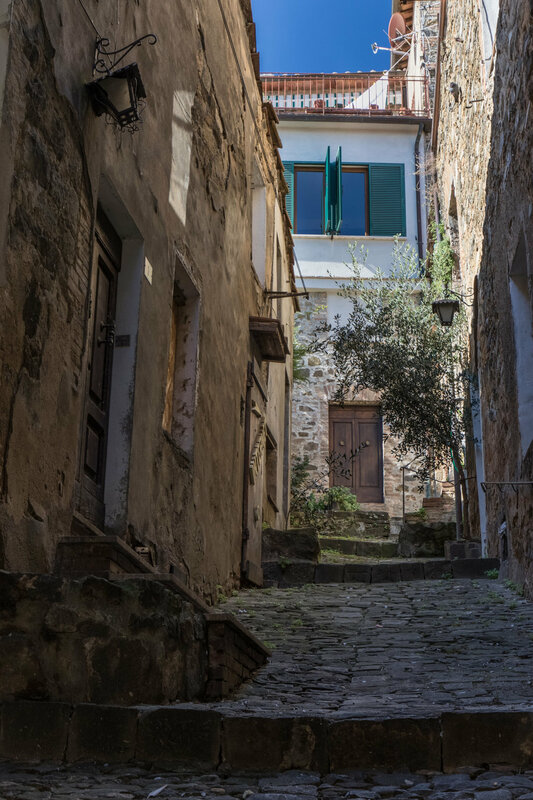 Another memorable shot was one of the many quaint alleyways we saw during our stroll around town, which exuded a sense of calm despite its hard cobblestone façade (below right). While walking around the town, there were a few other interesting items that I took photos of. 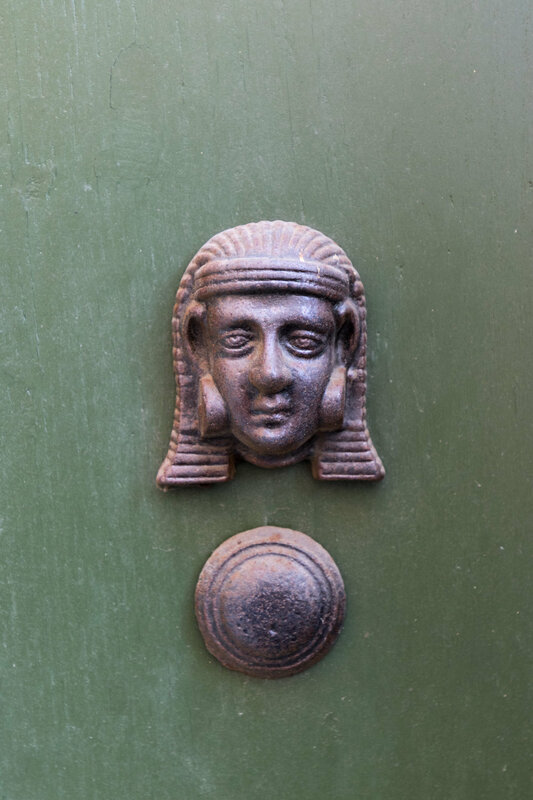 I have to admit, I became a bit obsessed with capturing door knockers / adornments during our time in Italy. Perhaps it's just because we don't have nearly as many in the U.S., but the impressive variety of styles was fascinating to me. We ate lunch at a wonderful little restaurant in the Piazza del Popolo, where we had both the best ravioli and cappuccino of the entire trip. We ended up returning to Montalcino on our last night of the trip as the atmosphere (and the above-mentioned ravioli!) were too good not to come back. Prior to dinner, we visited the Fortezza di Montalcino, an impressive structure built in 1361 to protect the town from outside invasion. Although ultimately succumbing, the fortress helped protect the town from the Medicean conquest for four years after the far larger City of Siena fell to the Florentine family. The view of the town from the top of the fortress walls was absolutely beautiful, with the final sunset of the trip being a truly memorable one.